Karen extensive background in real estate and finance allows her to uniquely understand her clients’ needs and concerns in today’s fast-paced market. As a former financial services executive with extensive team-building and negotiation experience, Karen has the proven ability to meet and exceed her client’s goals. 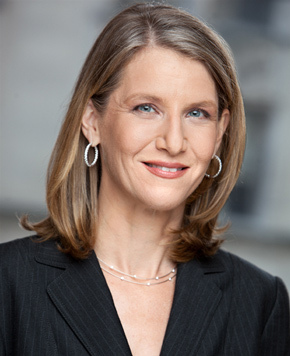 Prior to residential real estate sales, Karen held a successful tenured position on Wall Street where she both analyzed residential mortgage debt offerings and managed client relationships. Karen utilizes a project management discipline to ensure all steps in the real estate transaction process move smoothly and stress free. Karen’s extensive professional and personal network, which includes bankers, contractors, and design professionals, allows her to assemble the perfect team for each of her clients. Karen enjoys building relationships through increased understanding, honesty and trust to foster inclusion in all aspects of the buying and selling process. She is an empathetic listener, responsive to her clients’ inquiries and drives forward to achieve amicable solutions to real estate dilemmas. Karen was raised on the North Fork of Long Island and has resided and worked in Manhattan since graduating college. Karen is currently living in the Chelsea neighborhood of Manhattan.